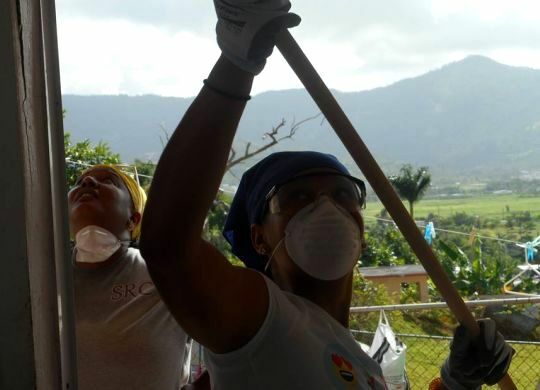 The Catholic News Service has an extensive new report on a team of 18 volunteers from St. Francis Builds, a program based in St. Camillus Catholic Church in Silver Spring, Maryland, who recently spent a week working with The Fuller Center for Housing’s new covenant partner in Puerto Rico through the Global Builders program. The group worked in the town of Maunabo’s Calzada sector, which was not evacuated before it bore the brunt of Hurricane Maria last year. In the story, volunteers talk about their experience helping hurricane victims repair their homes, and The Fuller Center’s local leaders in Maunabo talk about how they made a connection with The Fuller Center’s ministry. these possible! Click here to give!